so you can never be the same, ever. Side A holds poetry that touches on all aspects of the human condition like life, death, love, moving on, evolving, growing up, hometowns, family dynamic, life after trauma, and make-ups and breakups. Side B holds the “remixes” of these poems, in the form of blackout poetry, also known as “found poetry.” Side B gives the material a fresh twist by creating new poetry out of Side A. There is also a very special surprise at the end of each track. I thoroughly enjoyed this wonderful book of poetry and, at one point, I had tears in my eyes after reading a piece on childhood friends which spoke of unconditional love and acceptance. What I love about this book is that there is poetry for everyone, there is something in there that will move everyone, it possesses a universal appeal. Alicia Cook’s writing is simple and packed with emotion, but also with hard checks of reality. 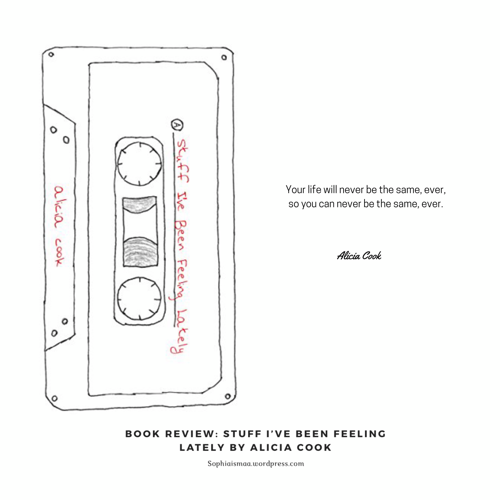 Alicia Cook is like the halfway house between Rupi Kaur and Nikita Gill; while Rupi Kaur’s poetry tends to be very short and sparse and Nikita Gill tends to be paragraph heavy, Alicia Cook has managed to find a blissful balance. I have to admit that I did enjoy Part A more than Part B having never read blackout poetry before. I do feel that it does cut quite short, but then again I think some people might love that it is quite short. I am guilty of romanticising some bridges that I’ve burnt for good reason, I’m guilty of romanticising parts of me that were never really as glamorous and wonderful as the image of myself that I had created. And I know why that was the case. Depression (and desiring a tiny fragment of steadiness). But I forgot that it was the old me that led me to depression. The new me does things that positively affect my sanity. The new me learns, considers whether my words are unjustifiably hurtful, the new me fights for justice (and has recently learnt that some people are as unreasonable as their poorly constructed and unreasonable arguments, so never bother feeding the trolls). The new me is better. So, here’s to Alicia Cook reminding us to embrace the new me, the new us, for Track 8 which snapped me back to reality. I would recommend this book to anyone who is suffering from mental illness, who has experienced loss, who loves love and has been broken-hearted, who is building a new and better version of themselves, and anyone who wants to better understand the human condition. Have you read or are you planning to read ‘Stuff I’ve Been Feeling Lately?’ Which poetry books have moved you? What are your thoughts on the battle between the old you v the new you? Let me know in the comments! Great review. And don’t worry about the romanticising, we all do it. Thank you and nice to know I’m not alone! Love the review. This one sounds like something I’d really love. Music incorporated. Nikita Gill. Mental illness. And I have been looking to read more poetry lately. Thanks for the tip! 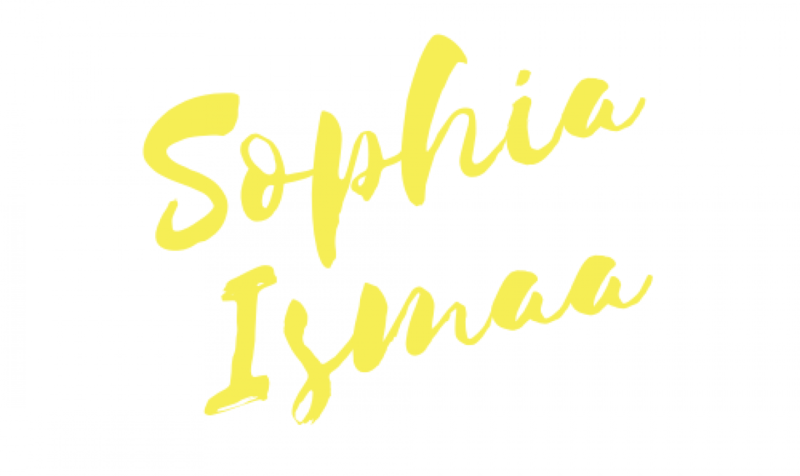 I haven’t read Stuff I’ve Been Feeling Lately, Soph, but after your sweet review, I’ll check to see if my awesome public library has a copy I can borrow. Poetry books that have moved me include Stephen Dobyns’ Velocities and almost everything by Billy Collins, especially Picnic, Lightning, Sailing Alone Around the Room, The Trouble With Poetry, and Aimless Love. There is no battle between the old me and the current me because I don’t worry or fret about things over which I have no control, chief among them being the past or any aspect of it including who I was or what I did. I hope you enjoy it if you get to read it! I think you’ll enjoy her piece titled Childhood Friends which brought a tear to my eye! I’ve had Aimless Love on my TBR, so I can’t wait to get round to reading it and Picnic, Lightning looks really good. The others I saw on GR, you’ve marked as 3, I was expecting a bit higher! Ah, I wish I could be like that, a seamless me. I like that, it’s in the past now, bye. I will be taking your spirit to the new year! I adore the idea behind this book. Definitely will be checking it out soon. I wish I knew what changed in me and why. Was it for the better or worse? If only I was a bit wiser and not so naive, I could’ve suggested you of ways to cope up with your own health first. But I am not, so all I can do, is to tell you – Always Keep Fighting. I think it’s something you’ll enjoy! Alicia Cook has such a fighting spirit that you’ll relate to. I know, right? What can we really actually say at the end of the day? It be like that sometimes 🤷‍♀️ all we can do is pray and hope that it all works out 🌟 thank you!